Product name:ZakiyyahMD A028 Fashion Long Net Dress Designer Burqa Shops In Hyderabad Women Abaya Turkey Jilbab Product number: A028 Color: Cream,Green,Grey Size: M.L.X L. XXL Material: Hemp MOQ: 240 pcs/3 colors/3sizes Packing way: 1pcs in 1 opp bag, or customer requirement MOQ: 240 pcs/3 colors/3sizes Price: $8.39~11.44 For reference only,when you order please contact our manager 50-100 pieces:15~20 days 100-500piceces:20~30 days &gt;500 pieces:when you order,please contact our service DIMENSIONS ARE FOR YOUR REFERENCE ONLY Size burst shoulder cuff waist sleeves length dress length M 96 40 81 57 135 L 101 41 86 58 140 XL 106 42 91 58 145 XXL 111 43 96 58 150 PRODUCT NAME ZakiyyahMD A028 Fashion Long Net Dress Designer Burqa Shops In Hyderabad Women Abaya Turkey Jilbab COLOR Cream,Green,Grey Size M.L.XL. XXL MATERIAL Hemp MOQ 240 pcs/3 colors/3sizes PACKING 1pcs in 1 opp bag, or customer requirement LEAD TIME After receipt of payment,20-25 work days (FOR REFERENCE ONLY) PAYMENT Paypal,Western union,T/T,MoneyGram Packaging & Shipping Contact us Shantou HotSunZune Garment Co.
1. 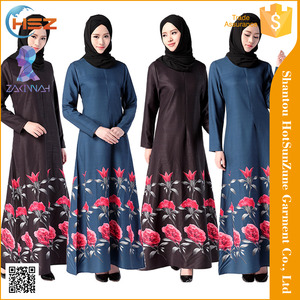 Islamic clothing for women on Sale 2. cotton tencel prints is wear resisting, sturdy, and comfortable to wear. Green Design Abaya Description: Color:Yellow, Red or other color for options Fabric: cotton tencel prints is comfortable to wear. Design: We have our own Jubah designers and will have new designs on sale every quarter. 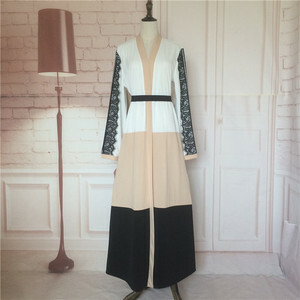 Alibaba.com offers 253 abayas burqa jilbab products. About 81% of these are islamic clothing, 7% are other scarves & shawls, and 1% are plus size dress & skirts. A wide variety of abayas burqa jilbab options are available to you, such as oem service, in-stock items. You can also choose from free samples. There are 253 abayas burqa jilbab suppliers, mainly located in Asia. The top supplying country is China (Mainland), which supply 100% of abayas burqa jilbab respectively. Abayas burqa jilbab products are most popular in North America, Southeast Asia, and Mid East. You can ensure product safety by selecting from certified suppliers, including 6 with Other, 2 with ISO9001, and 1 with BRC certification.